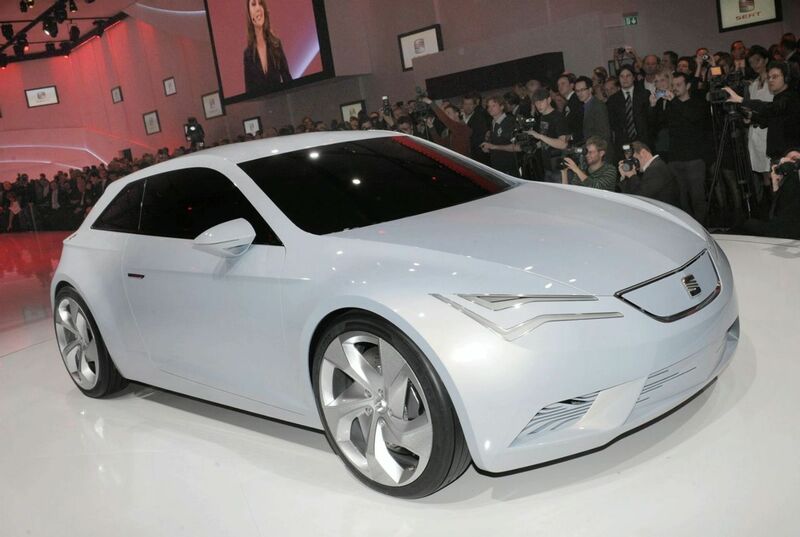 The Seat IBE Concept has unveiled at 2010 Geneva Motor Show. The car has an impressive and freshly design, it also powered by an electric drive system with zero-emissions capabilities. SEAT says the IBE Concept is expected at urban users which is very like the coupe shape. It’s 3.78 metres long, 1.8 metres wide and is 1.2 metres high. A set of four 19-creep wheels with low rolling resistance tyres are fixed. Full LED headlights characterise the front end while the two air intakes in the decrease bumper help with cooling the car. A lithium-ion battery located at the rear makes 75kW (102 PS) and 200Nm (147 lb-ft) of torque. It is able of a 0 – 50km/h sprint of 3.4 seconds while the 0 – 100km/h takes 9.4 seconds. Overall the IBE weighs just 1,000 kilograms (2,205 lbs).